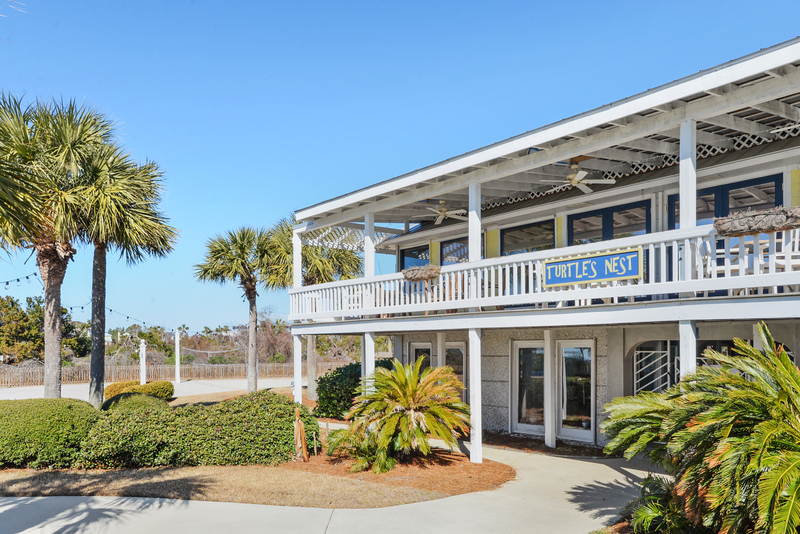 Welcome to your next beach getaway! 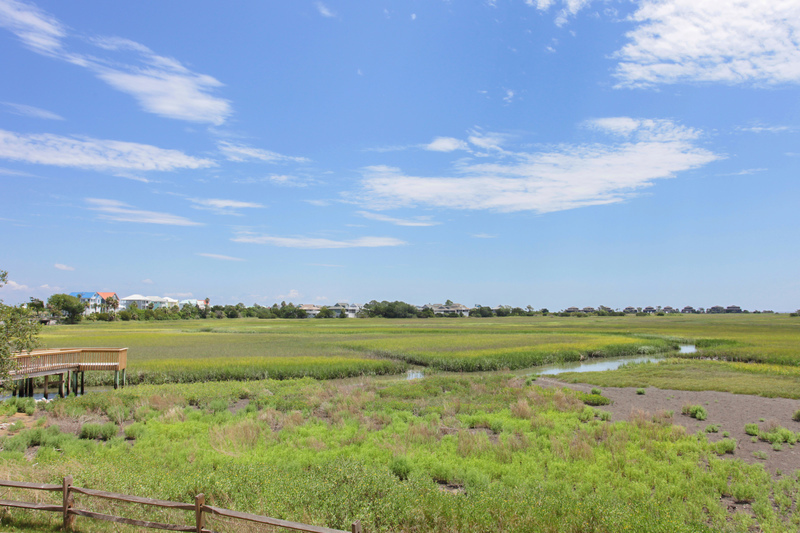 15 Ocean Marsh is one of the most secluded spots on Harbor Island. 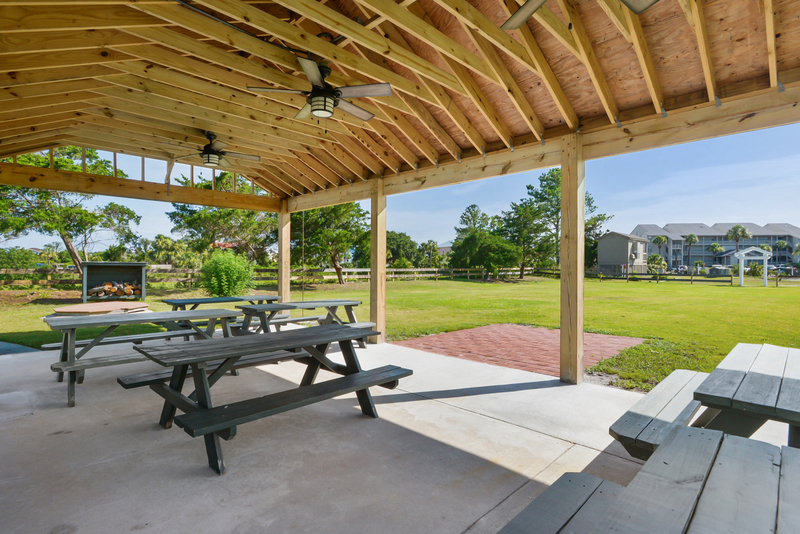 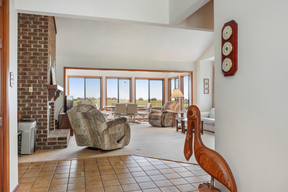 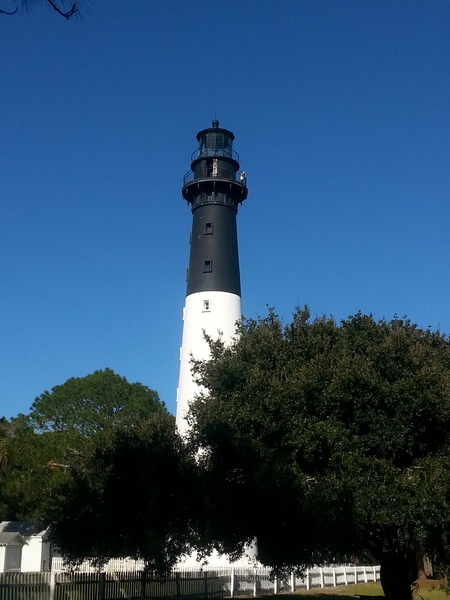 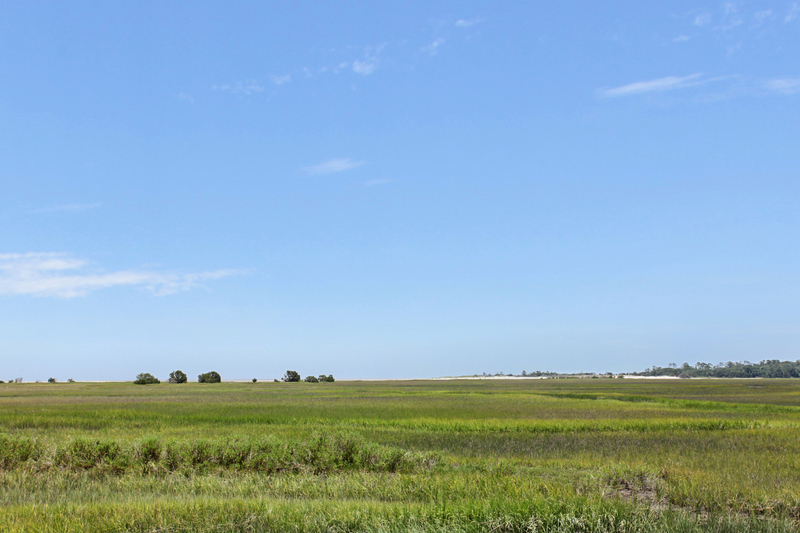 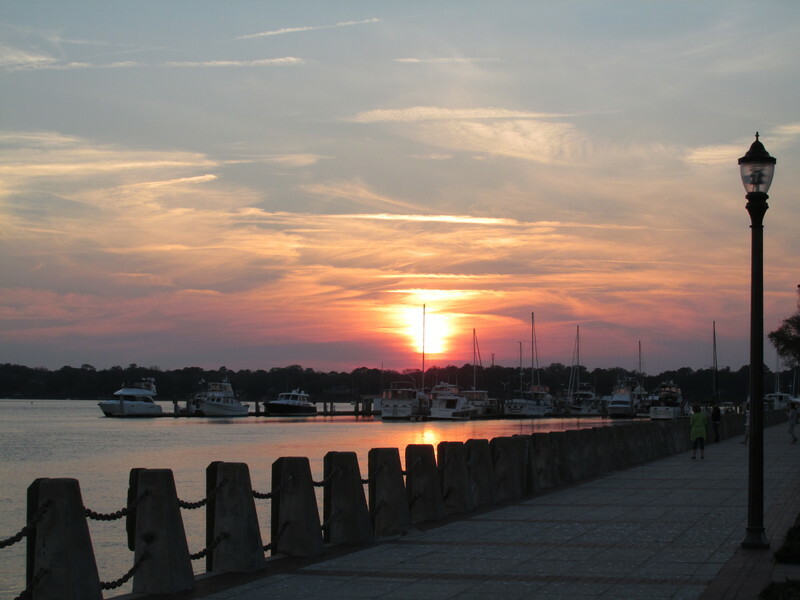 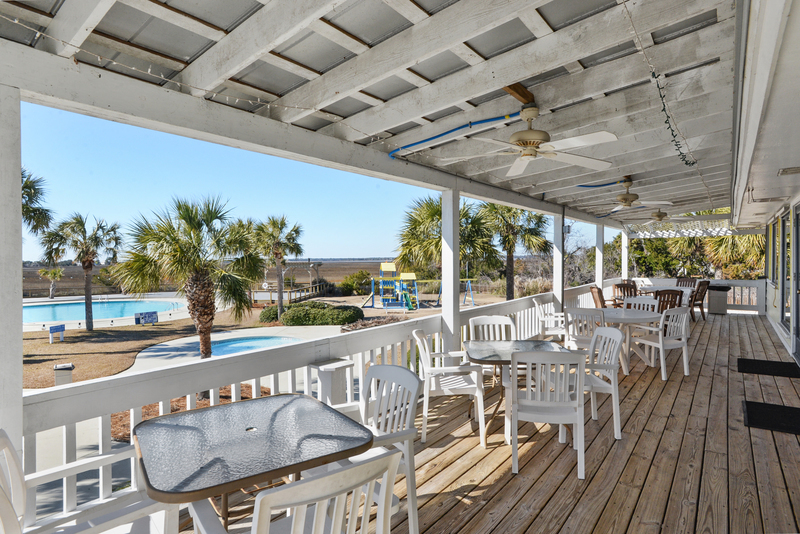 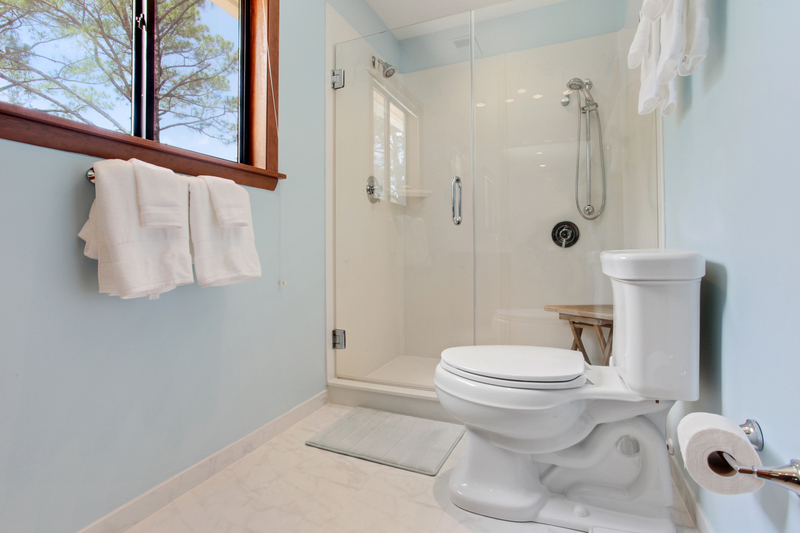 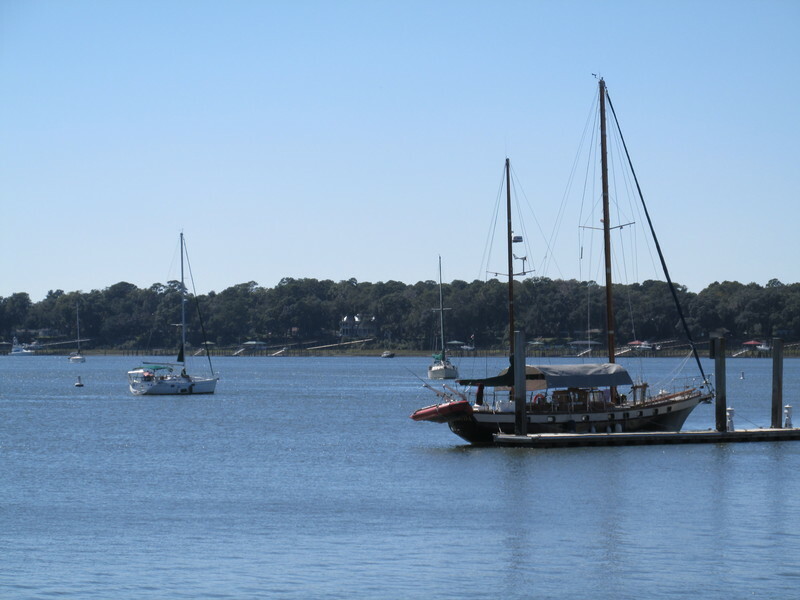 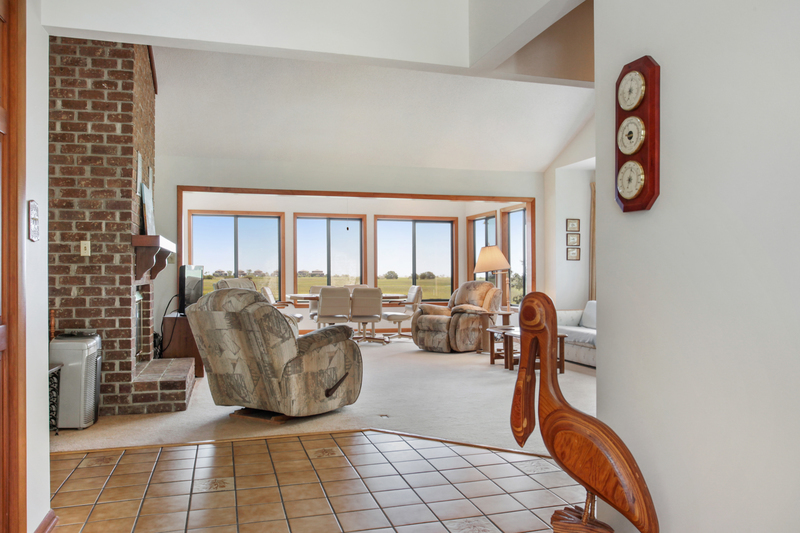 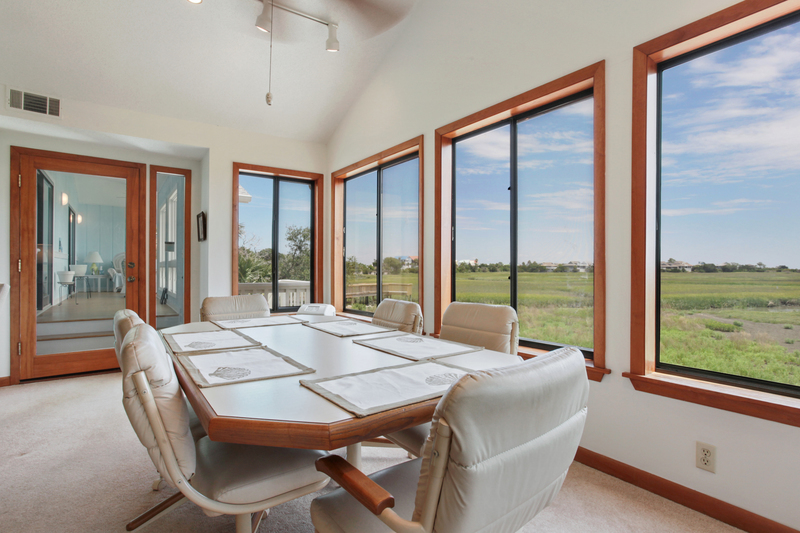 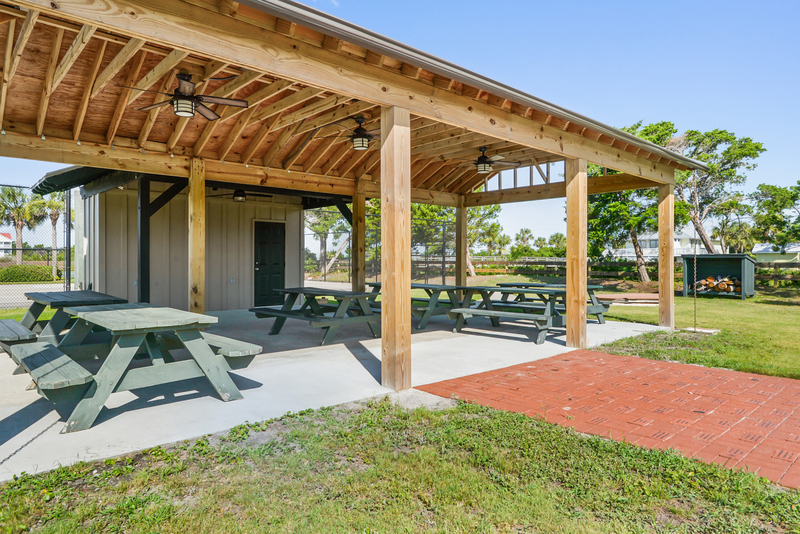 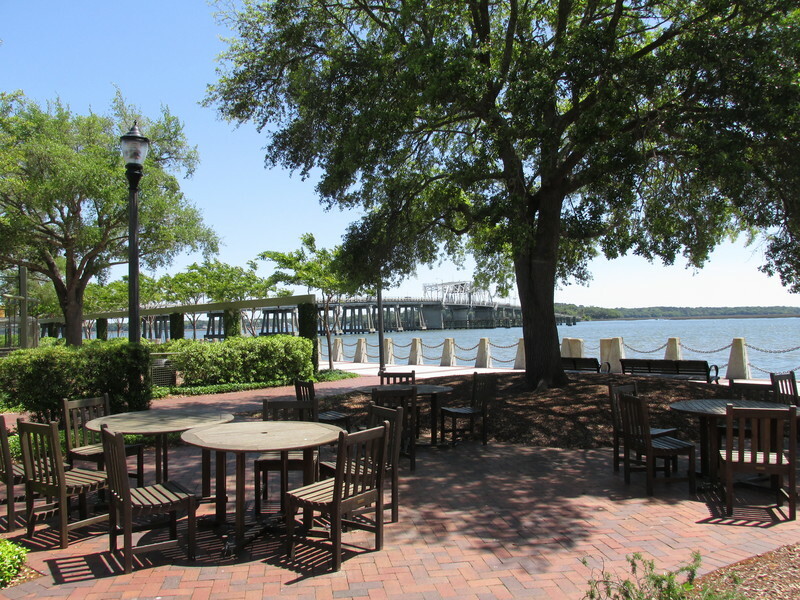 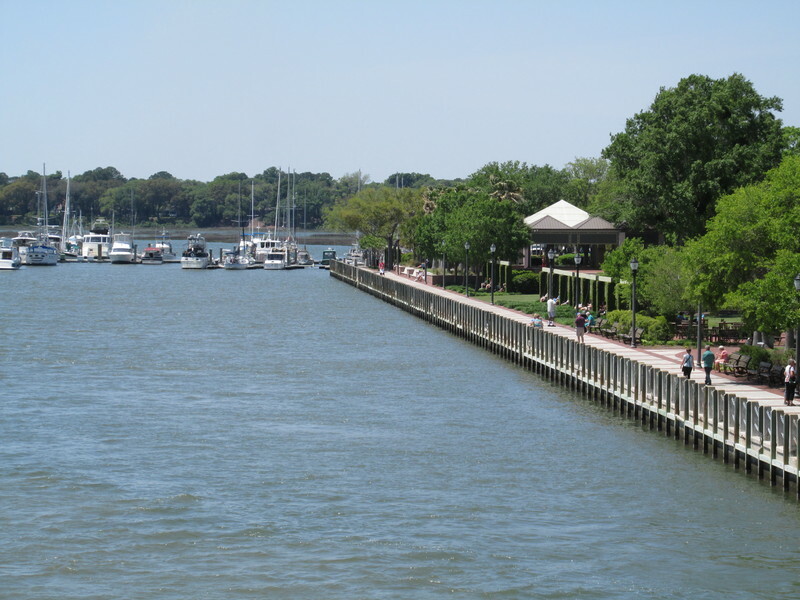 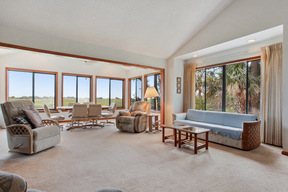 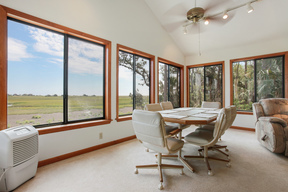 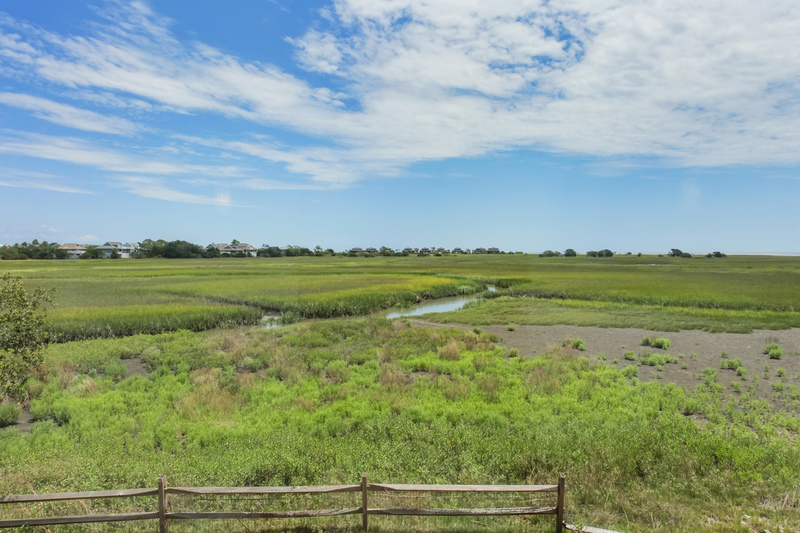 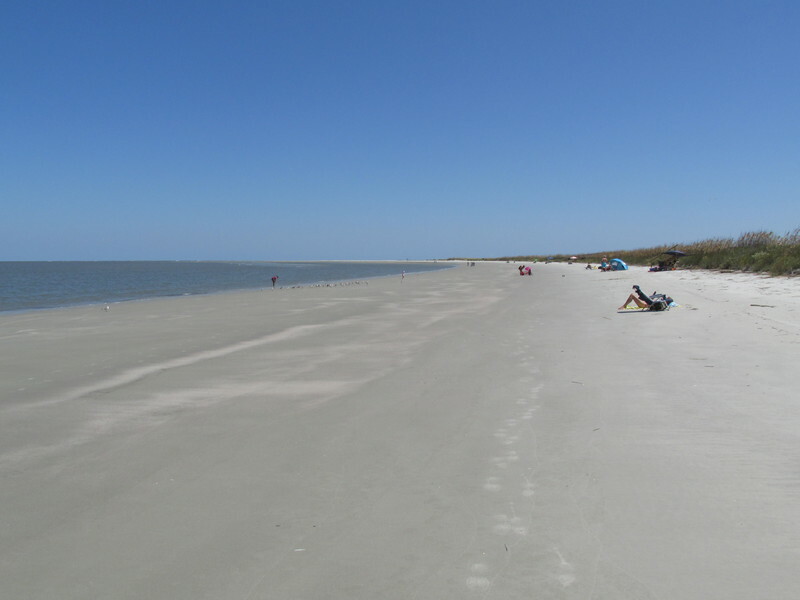 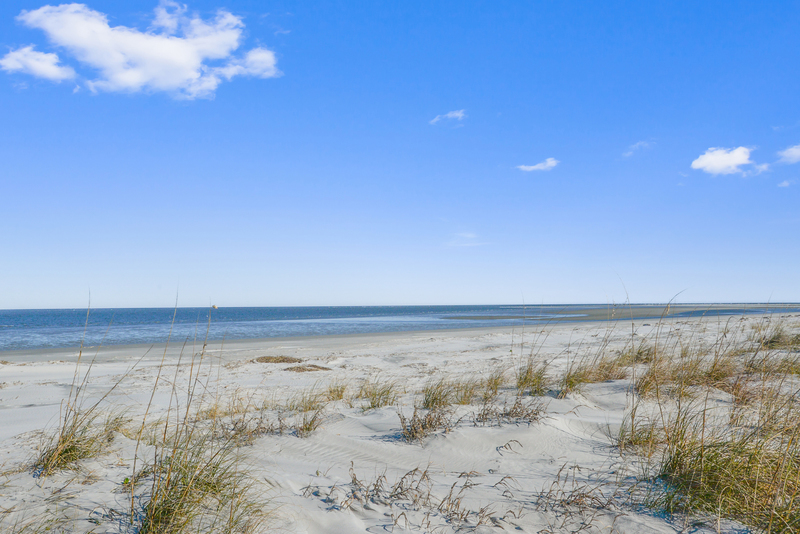 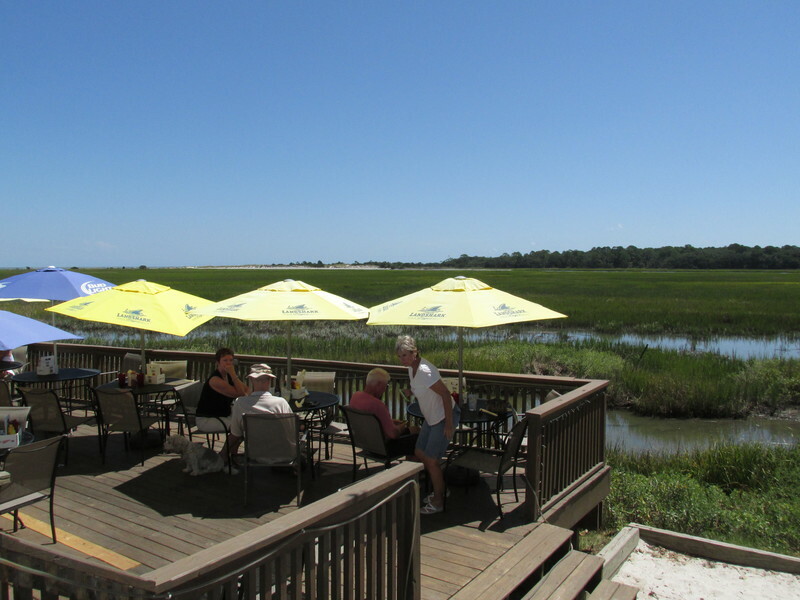 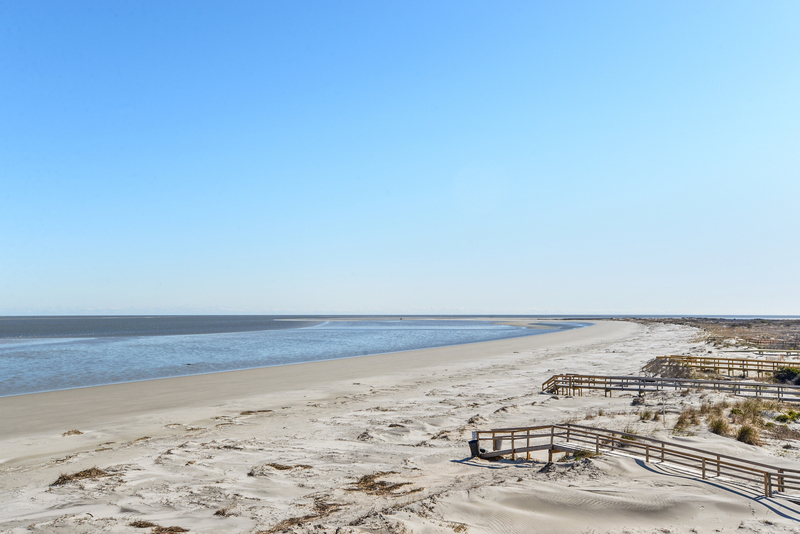 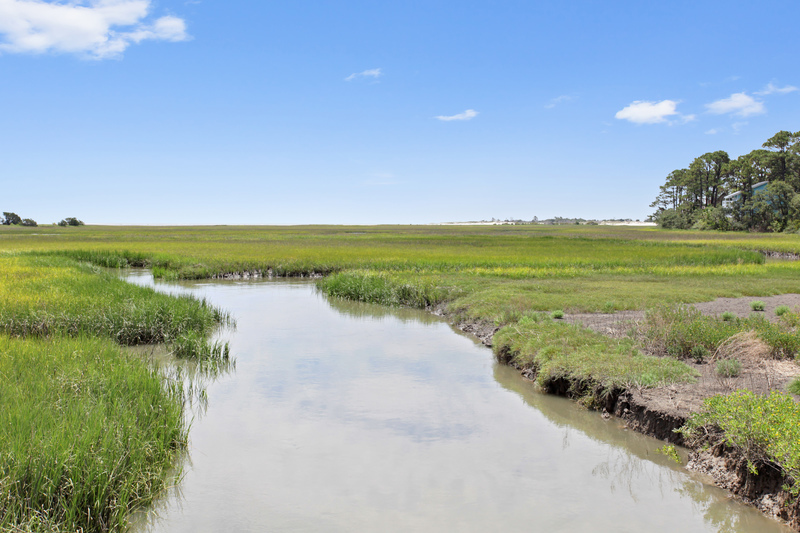 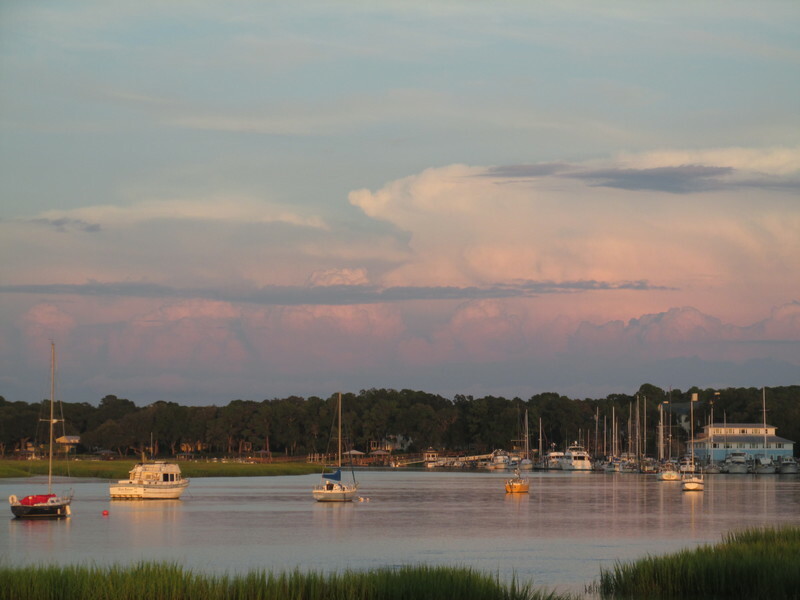 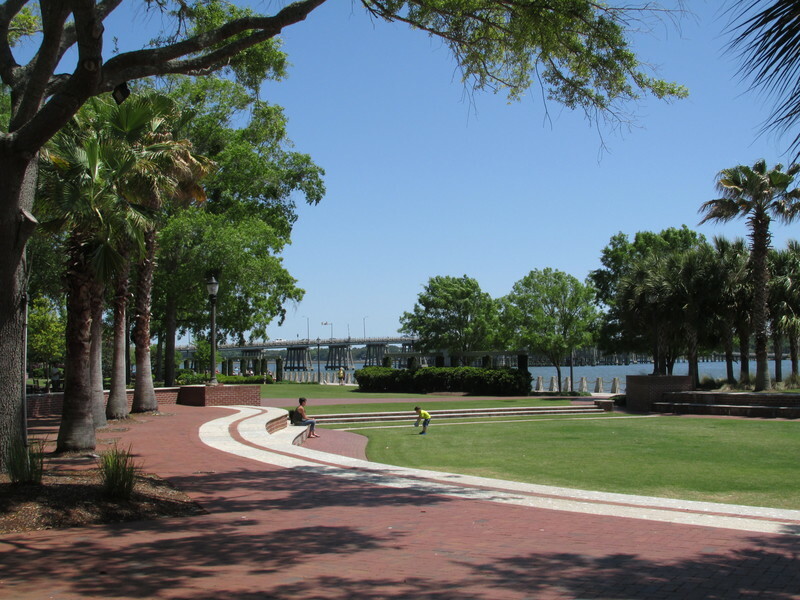 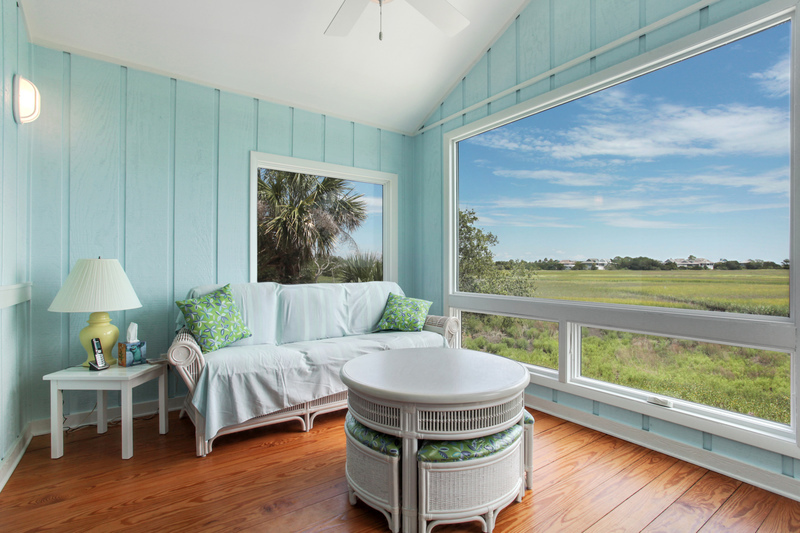 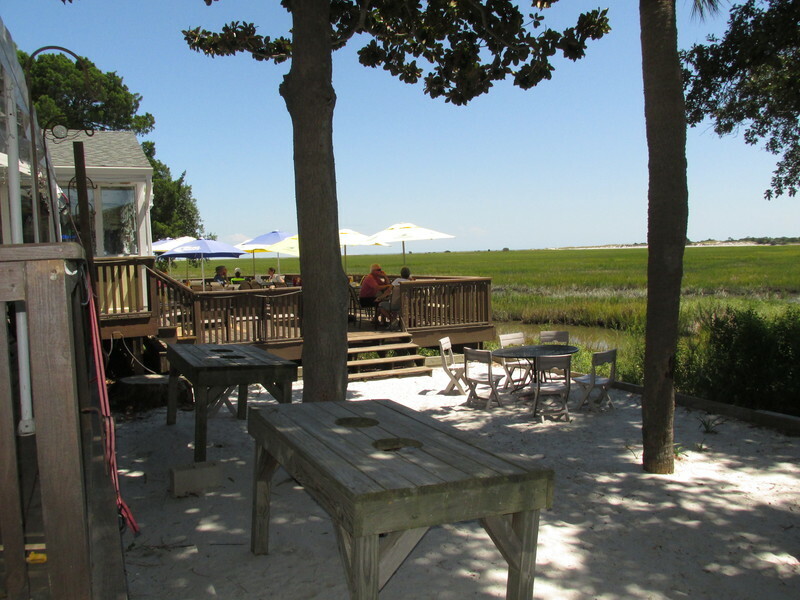 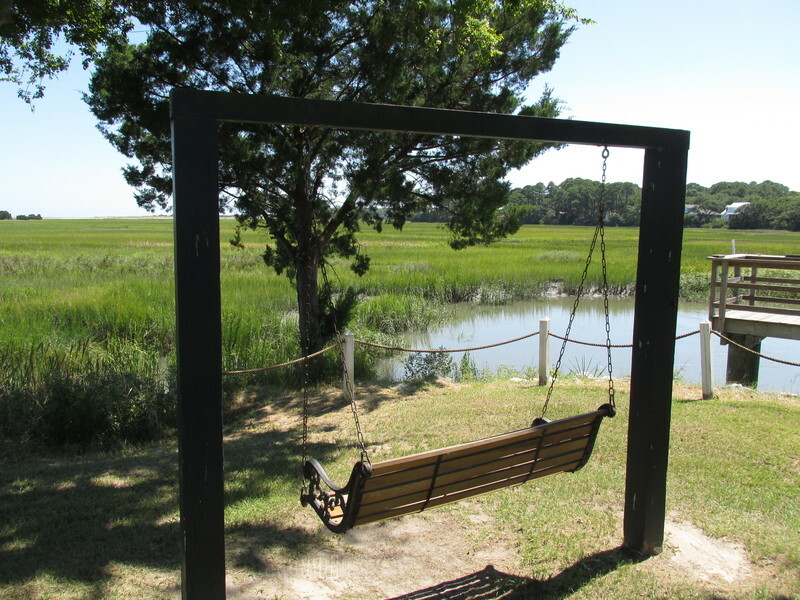 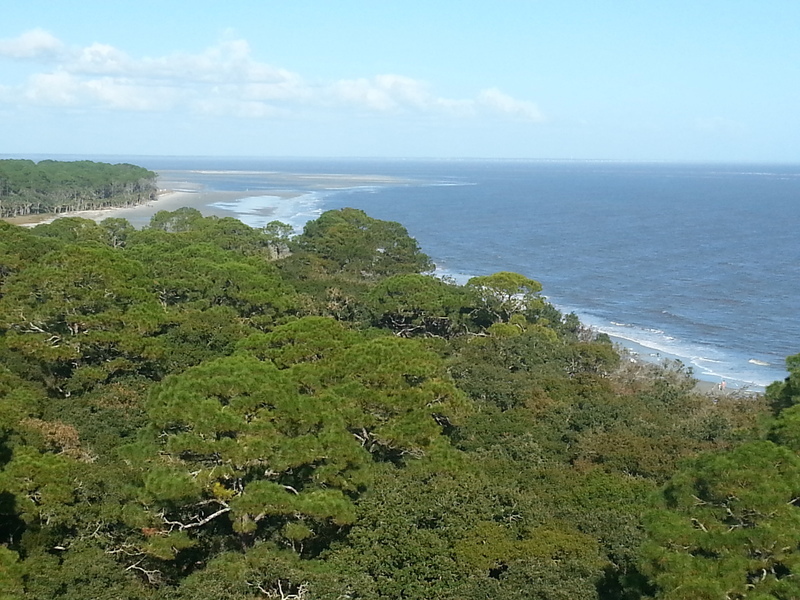 It offers expansive views of low country marsh and also the sparkling waters of the Atlantic ocean. 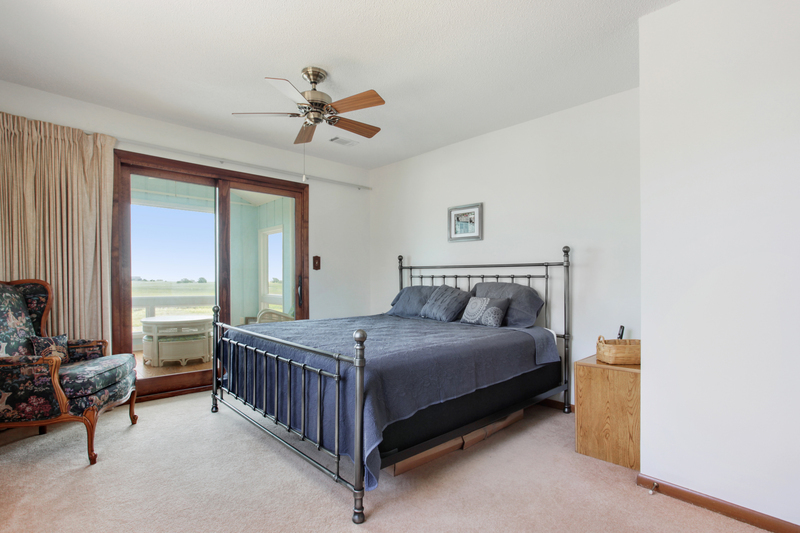 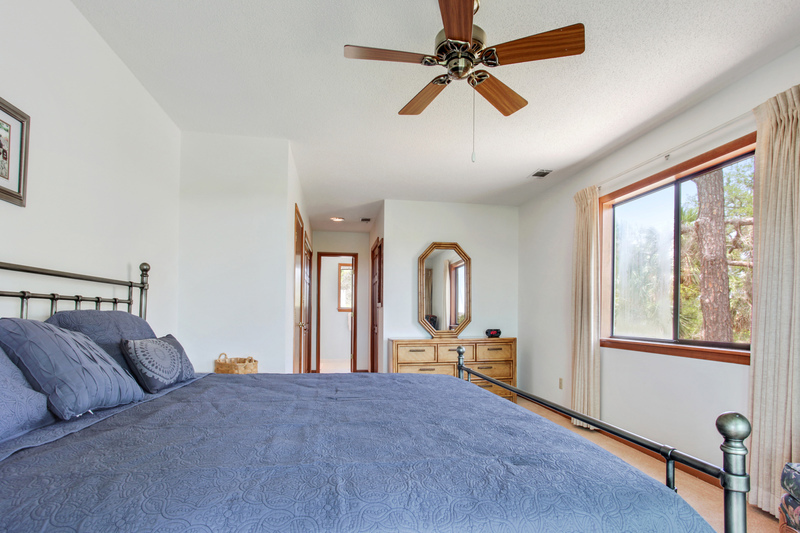 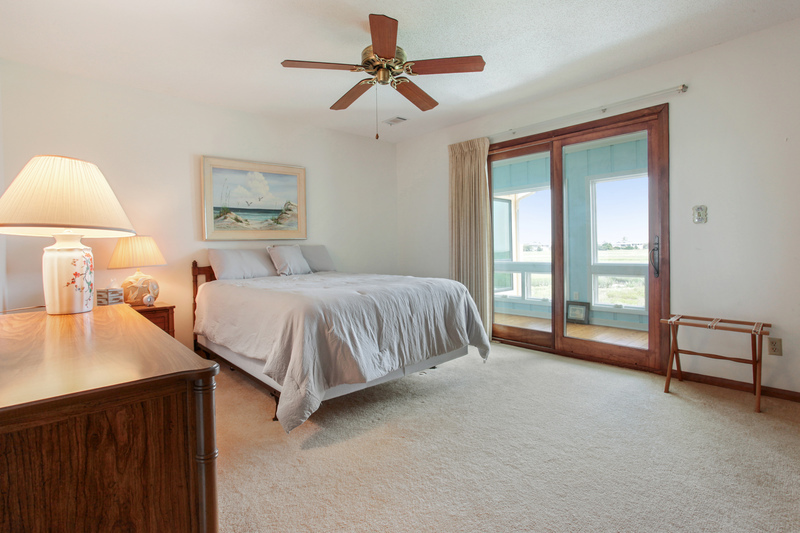 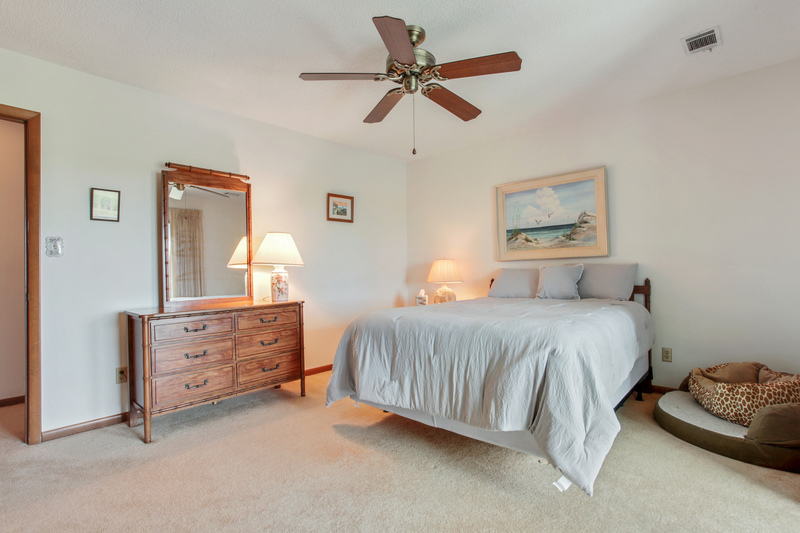 Enjoy the views from the big Carolina Room, as well as the master bedroom, and one other bedroom. 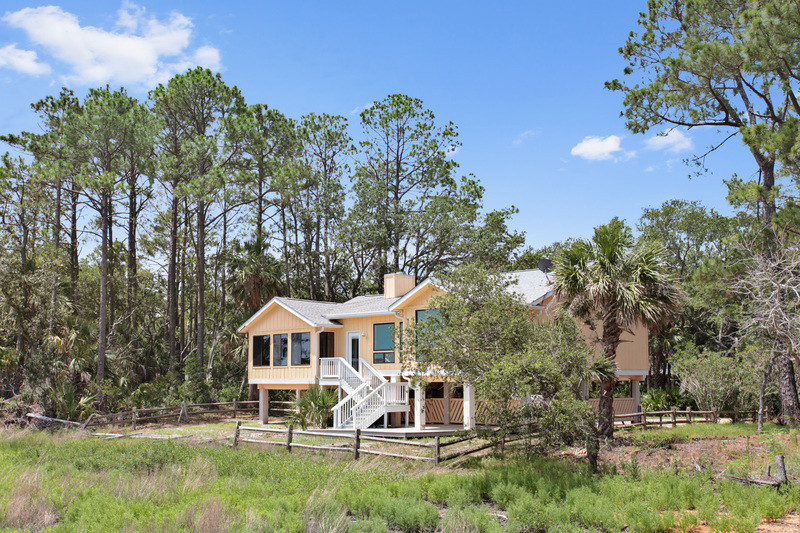 This beach home is one of the most secluded homes on the island. 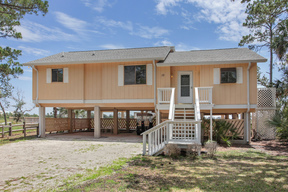 It is surrounded by tall trees that provide that true getaway experience. 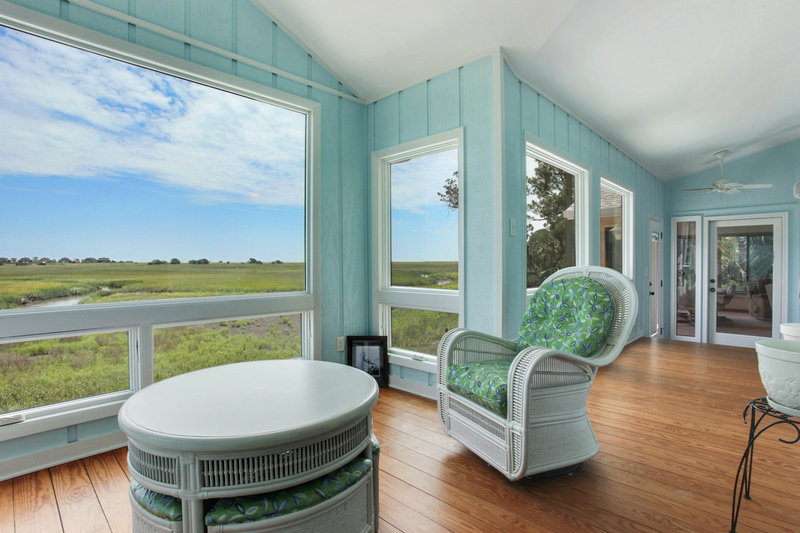 The panoramic views offer a peek of the local wildlife that you can find throughout the island. 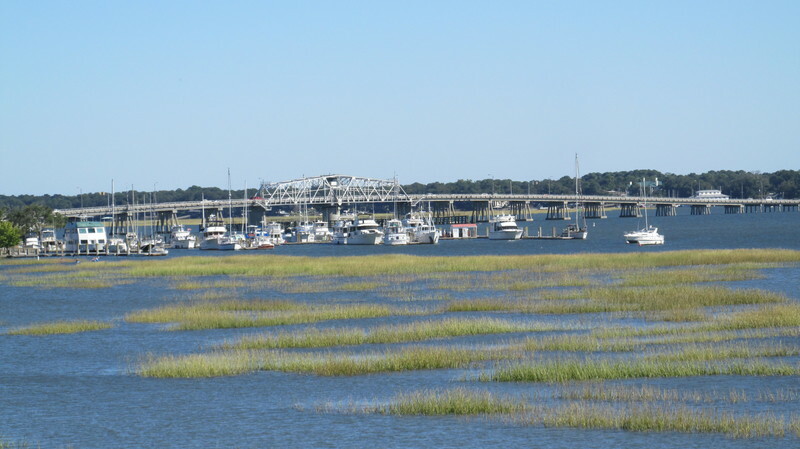 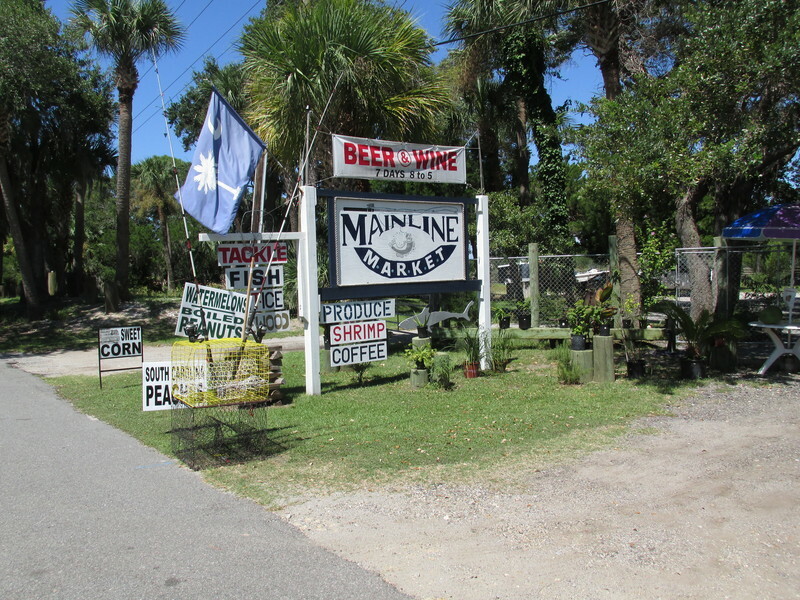 There are plenty of opportunities to go fishing and crabbing, as much of the island is kept untouched, which sets Harbor Island apart from everywhere else. 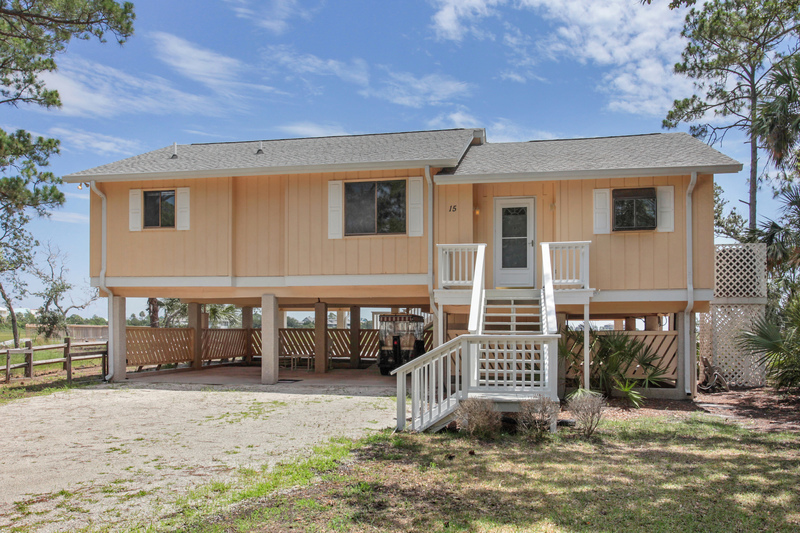 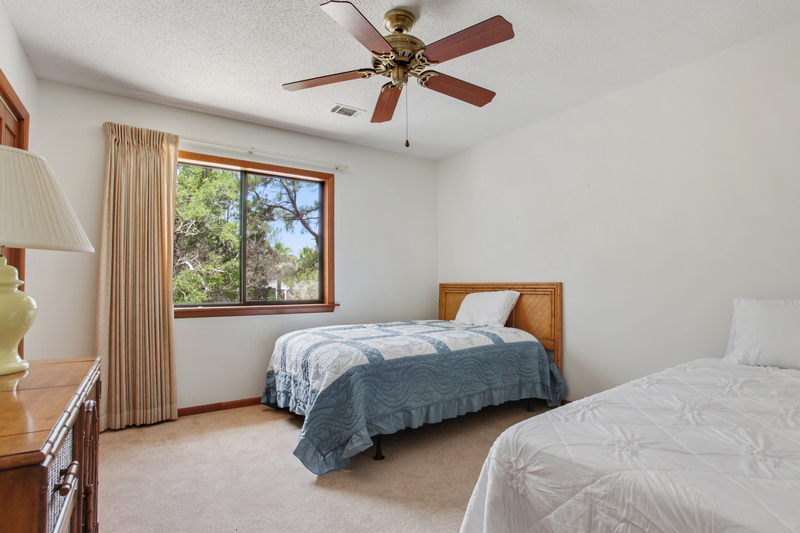 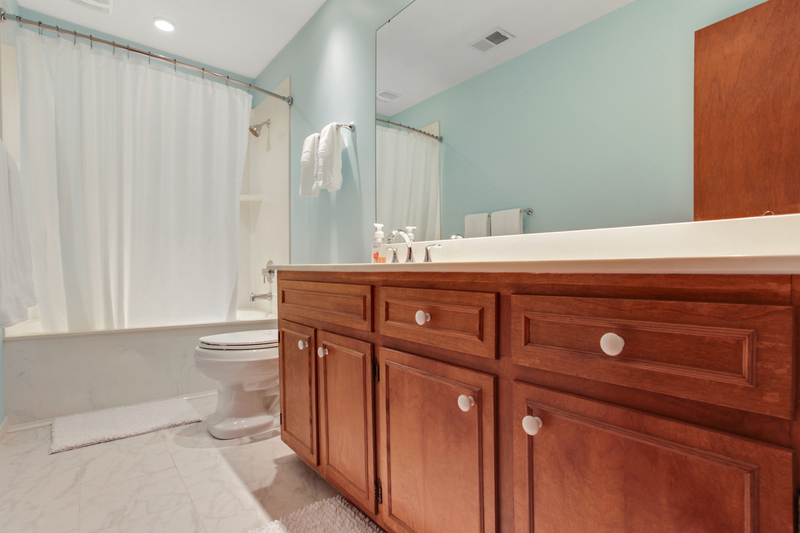 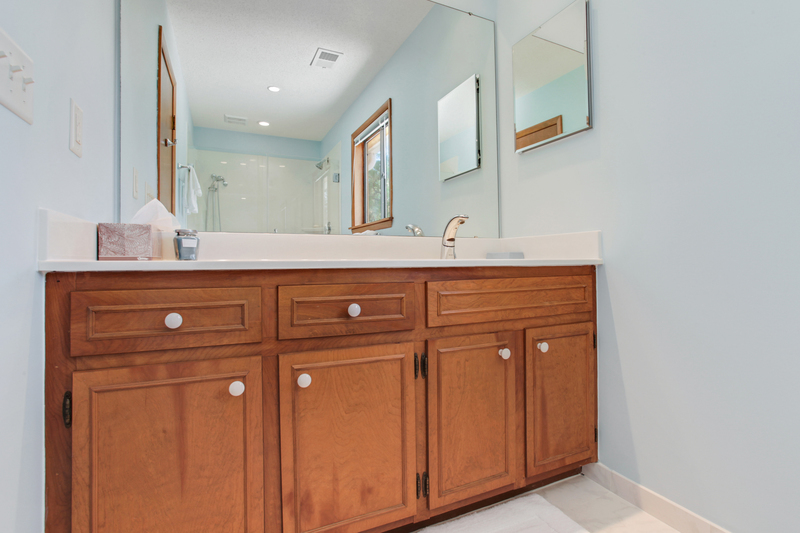 There are three bedrooms, two full baths, and a lower patio for relaxing and enjoying the sun. 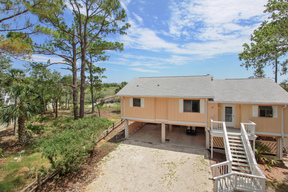 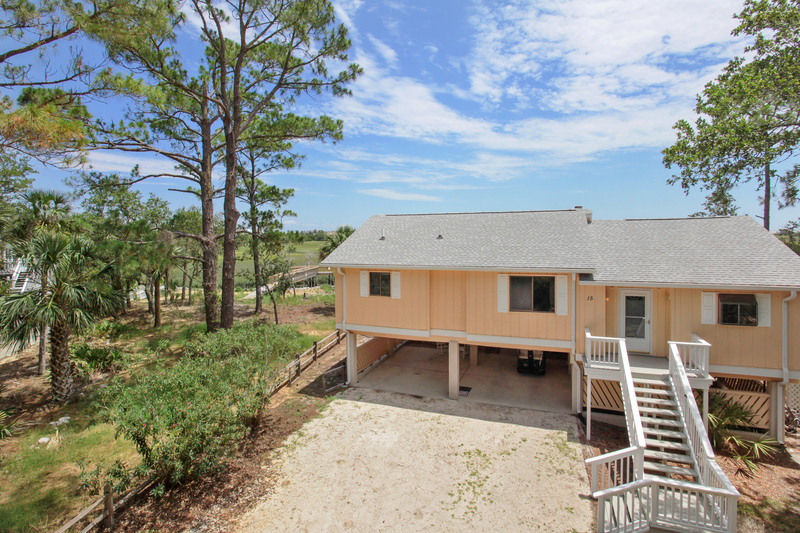 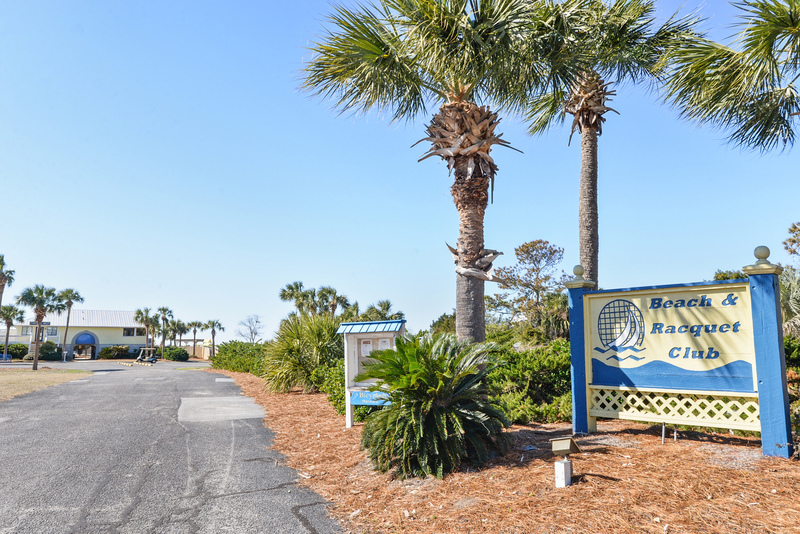 The home comes with a golf cart, for easy access to the beach, amenities, and exploring the island. 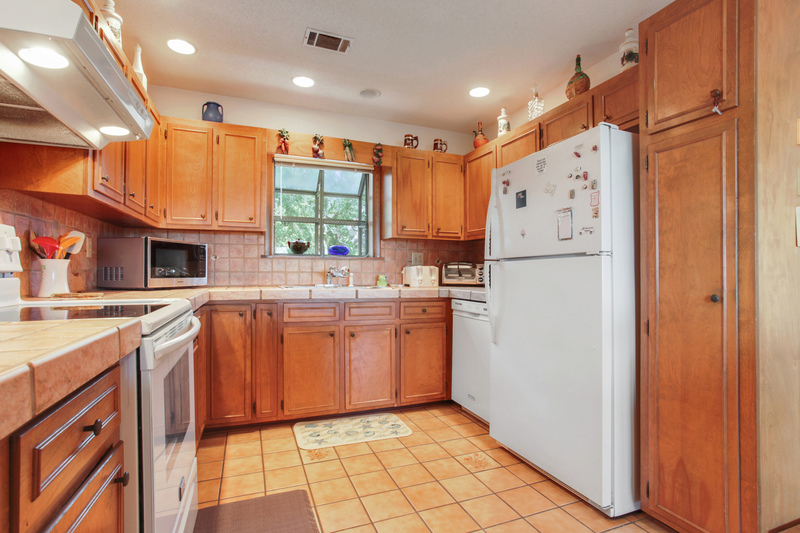 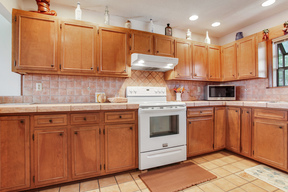 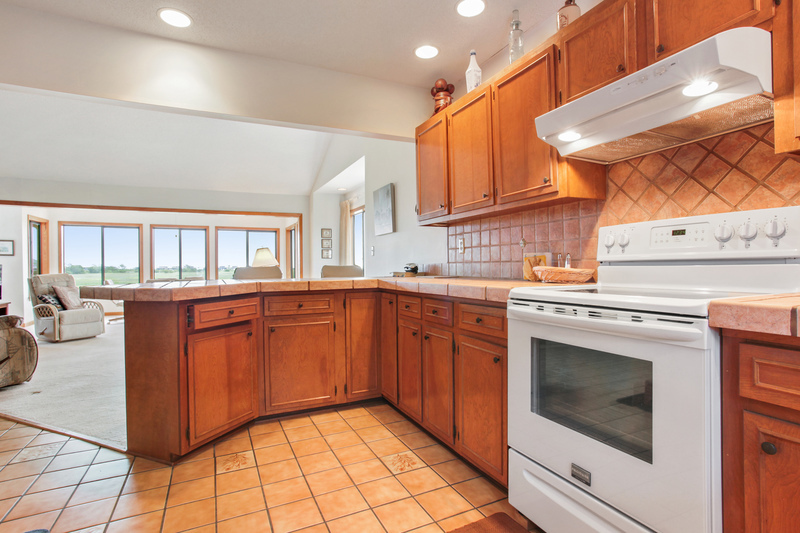 The full kitchen offers everything you may need to create the perfect meal during your stay. Enjoy it from the dining room table that seats six. 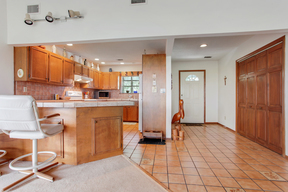 There is also additional seating at the breakfast bar that seats two people. 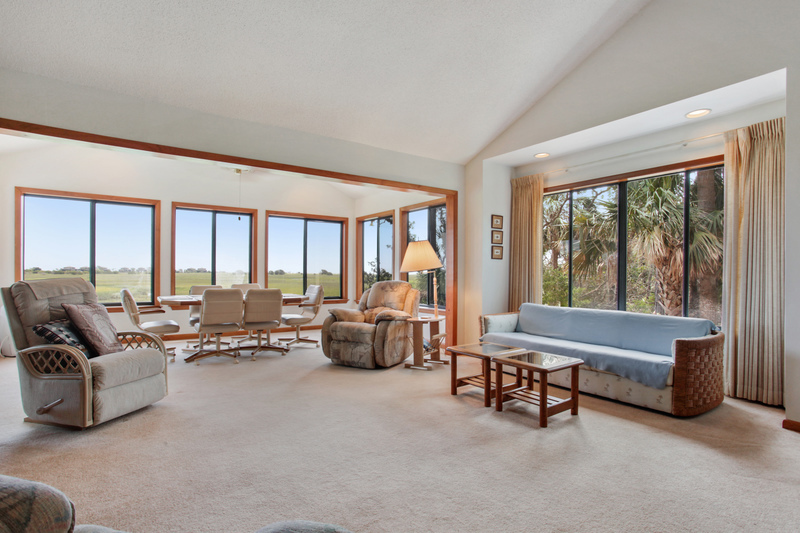 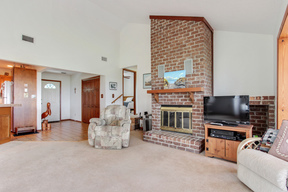 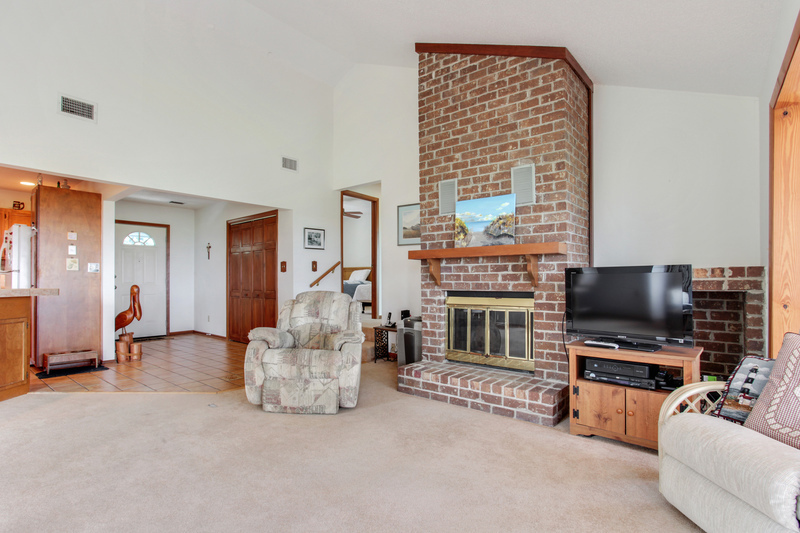 The large living room has three comfy recliners for relaxing after a long day. 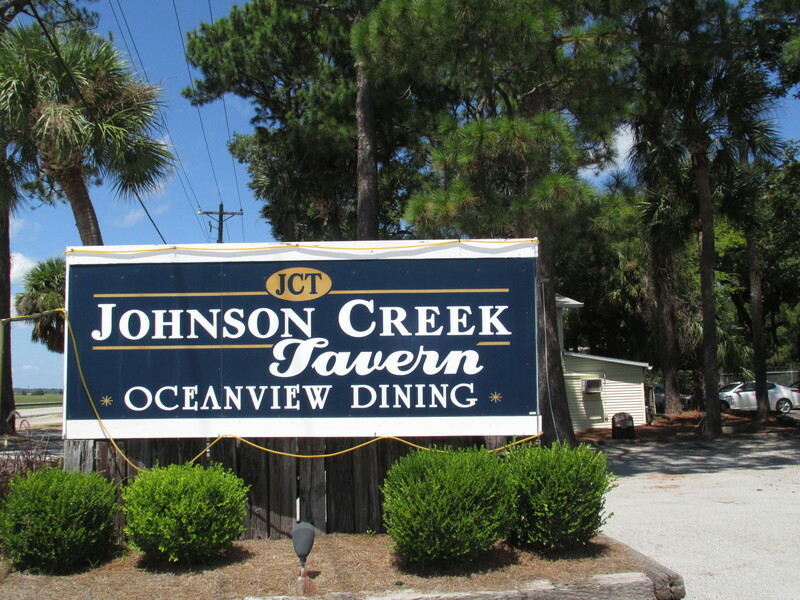 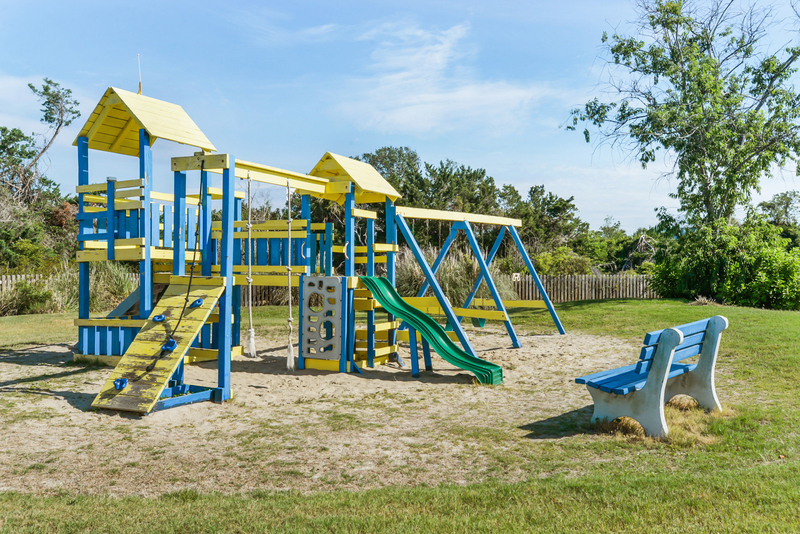 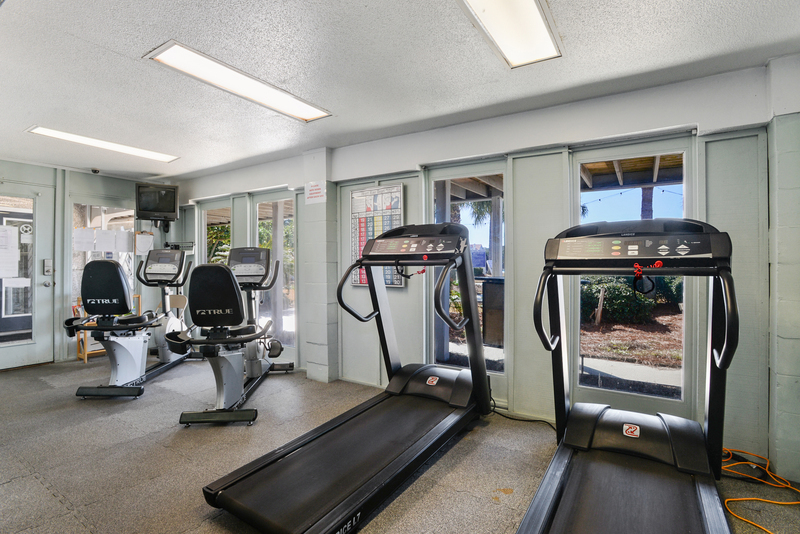 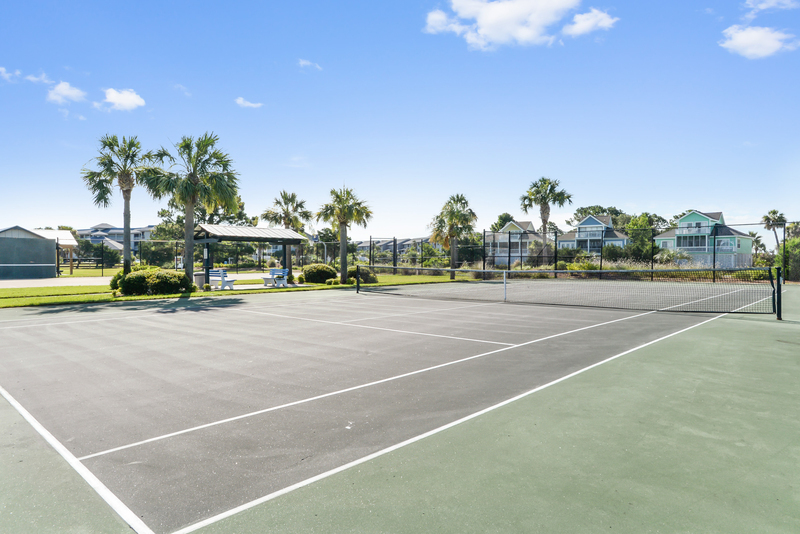 Be sure to make some time to take advantage of all the wonderful amenities that are on the island. 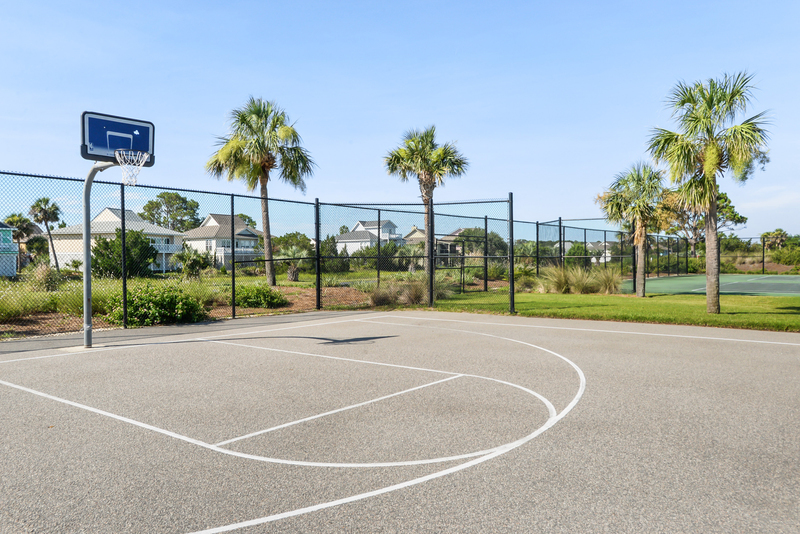 These include tennis, half court basket ball, and putting green. 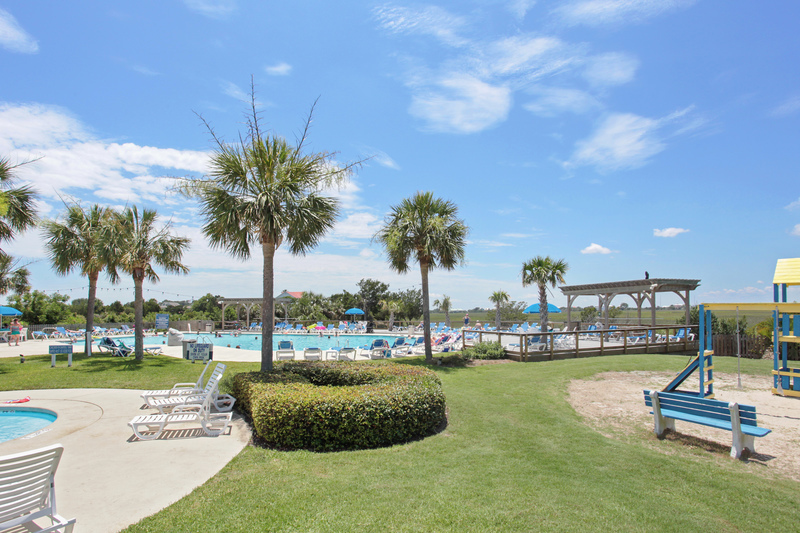 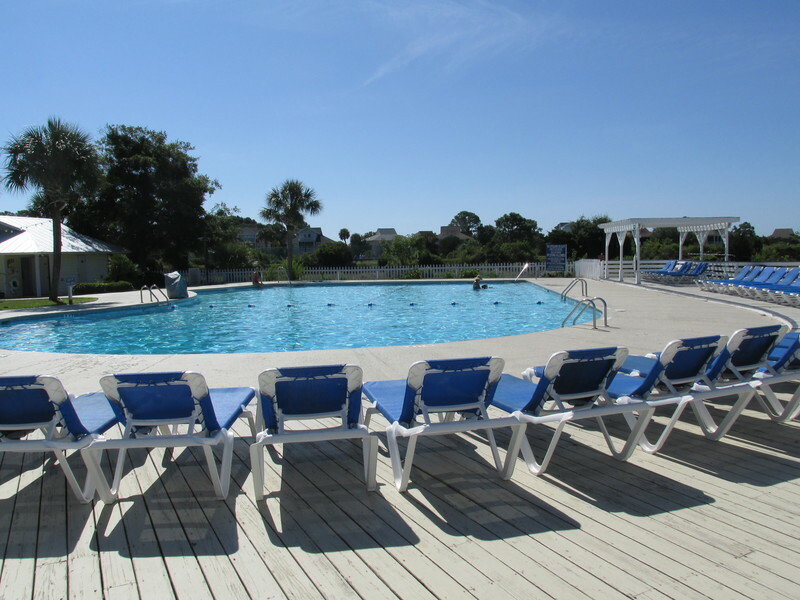 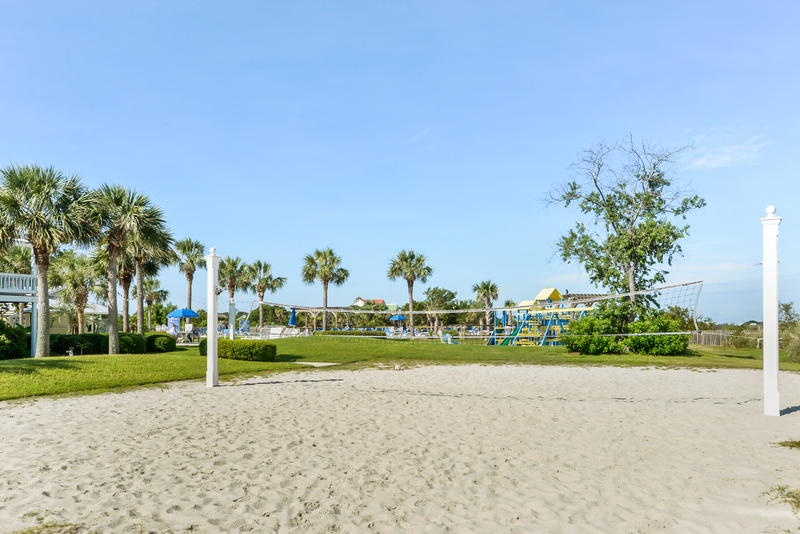 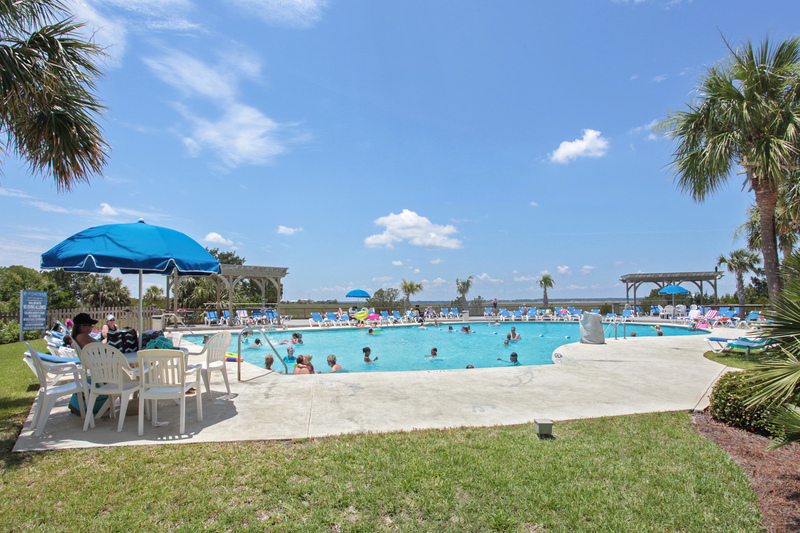 At the Beach & Racquet Club there is an Olympic size pool, kiddie pool, sand volley ball, fitness center, and bike rentals. 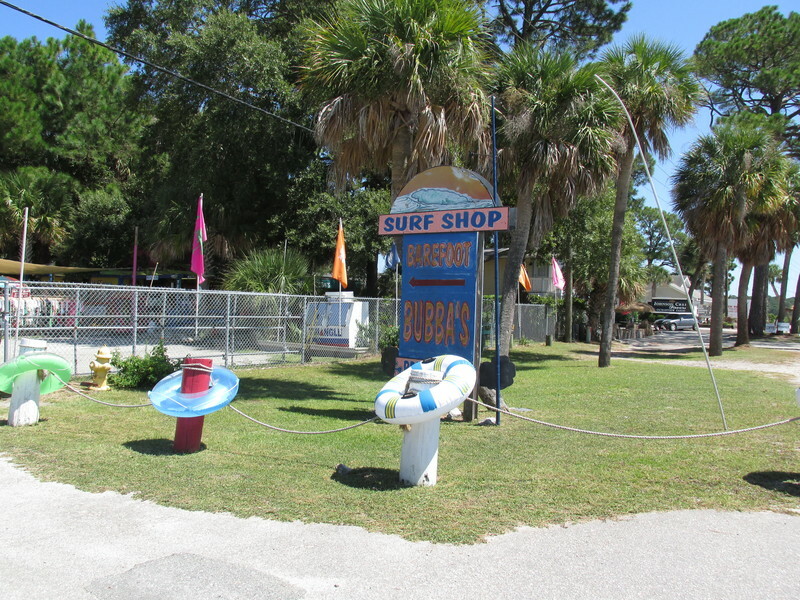 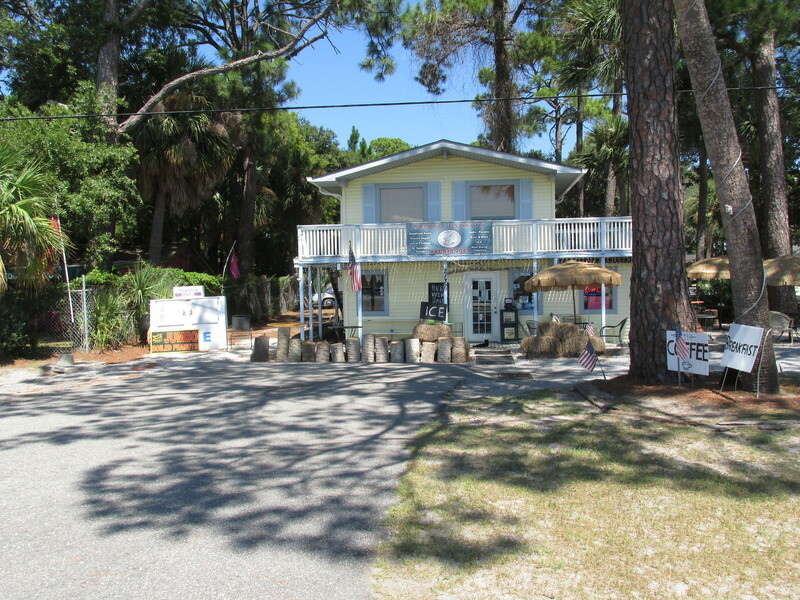 There is also a little shop where you can get snacks and some beach supplies. 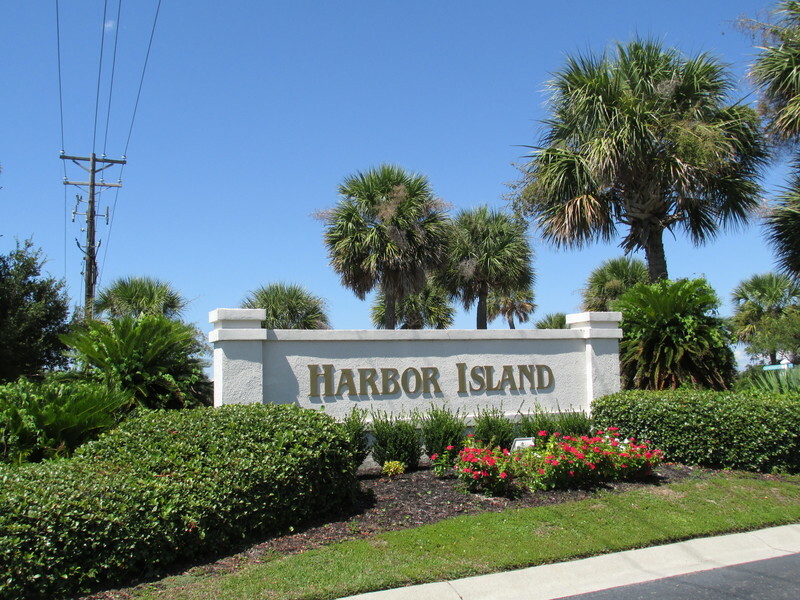 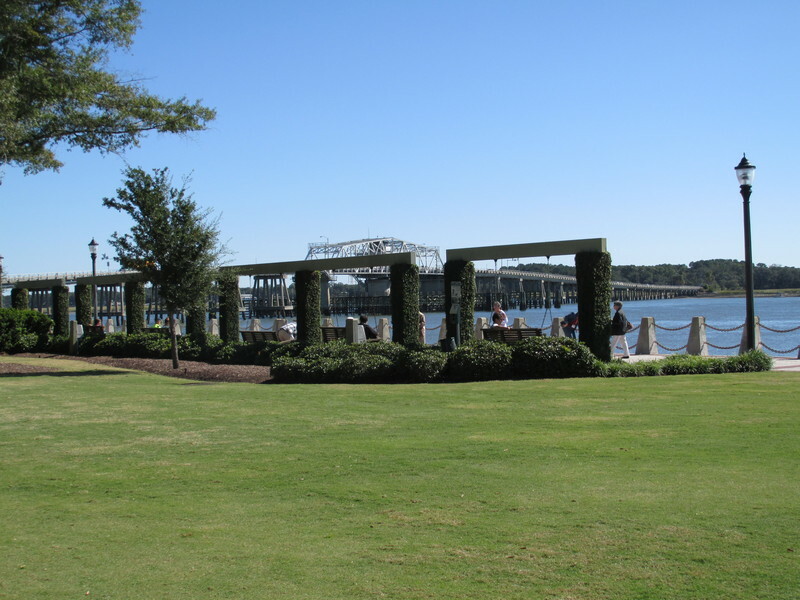 The beaches on Harbor Island stretch over two miles, that can be accessible from multiple boardwalks found all over the island.